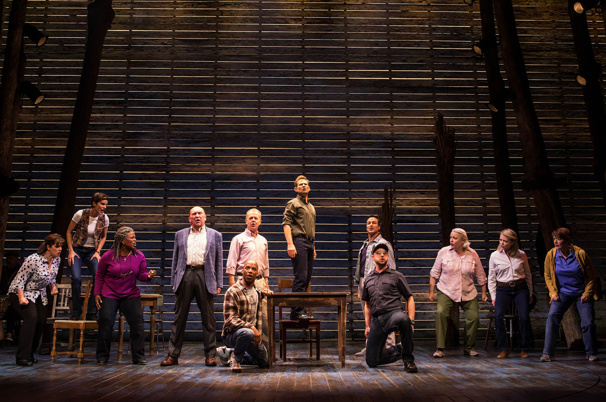 The original Broadway company of "Come From Away"
The hit Broadway musical Come From Away will cross the pond in 2019, playing to audiences at the West End's Phoenix Theatre for an open run beginning on January 30. That production will be preceded by an Ireland engagement at Dublin's Abbey Theater from December 6, 2018 through January 19, 2019. Christopher Ashley will repeat his Tony-winning work as the musical's director. Casting will be announced at a later date. Till then, check out footage from the Broadway production below.